FEATURES: Improve the workout performance in the gym with Muscle Blaze Pre-Workout 300 available in refreshing Melon flavor. 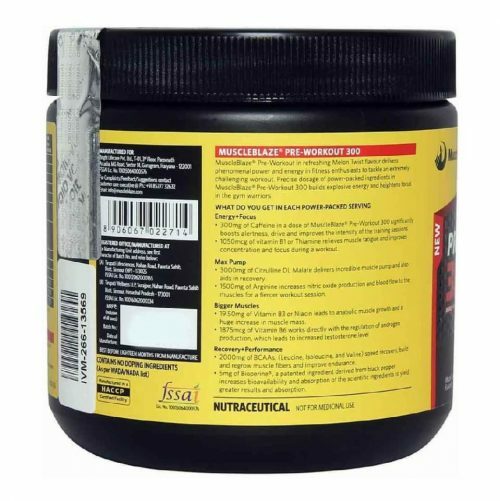 Manufactured to provide only the best, this pre-workout formula is fortified with 300mg of caffeine that aids in providing focus and energy to work wonders in the gym. 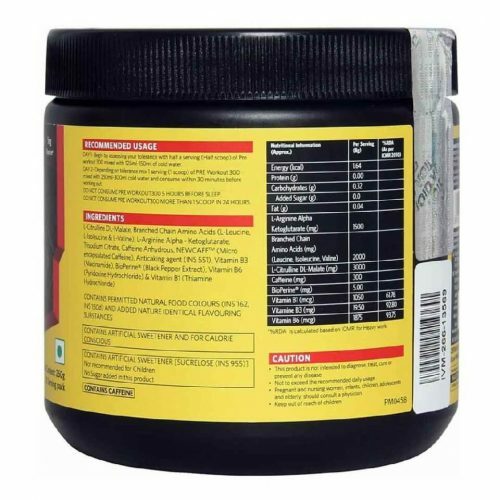 Unlike other pre-workout supplements, this explosive pre-workout formula is packed with right nutrients, which gives you many benefits in a single supplement. 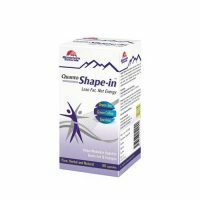 It boosts your energy level, enhances endurance, increases blood circulation, pumps up your muscles and helps you work out for long hours at the gym. Muscle Blaze Pre-Workout 300 available in Melon flavor increases your focus to help you achieve high through the training sessions. 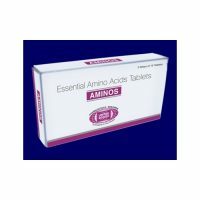 Also proven effective in cardio workouts as it provides energy spike for endurance without promoting bulking. 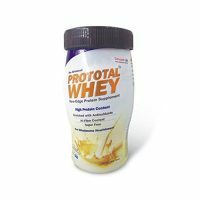 INGREDIENT: The product is blended of various mixtures like L-Citrulline DL-Malate, BCAA’s (L-Leucine, L-Isoleucine, & L-Valine), L-Arginine Alpha-Ketoglutarate, Trisodium Citrate, Caffeine Anhydrous, NEWCAFF (Micro-Encapsulated caffeine), Anticaking Agent (INS 551), Vitamin B3 (Niacinamide), BioPerine (Black Pepper Extract), Vitamin B6 (Pyridoxine Hydrochloride) & Vitamin B1 (Thiamine Hydrochloride).